Home visits and pop in's are a great option for puppies, older dogs and small animals including cats, chickens, reptiles and caged animals . During home visits we offer toilets breaks, medication administration, food and water refresh, change litter trays whilst giving plenty of company, play and cuddles for those times when you can't be there yourselves. In addition we will care for your livestock including feeding cattle, sheep, horses whilst you are on holiday or for occasional days out. Fill out our contact form with your requirements. We are happy to close/open curtains, switch on/off lights and water plants whilst you are away. Don't miss your appointments at the vets or groomers!
" Paws up " is the command I use to call my dogs to get into the puppy mobile. 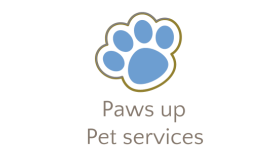 We can transport your pooch in safety and comfort, stay with them and hold their paw during their appointment or drop off and collect them from the groomers. Rest assured when you can't be there we will take care of your beloved pet like they were our own.